Worksheet on subtracting 9 will help the skill builders to practice numerous questions based on 9. 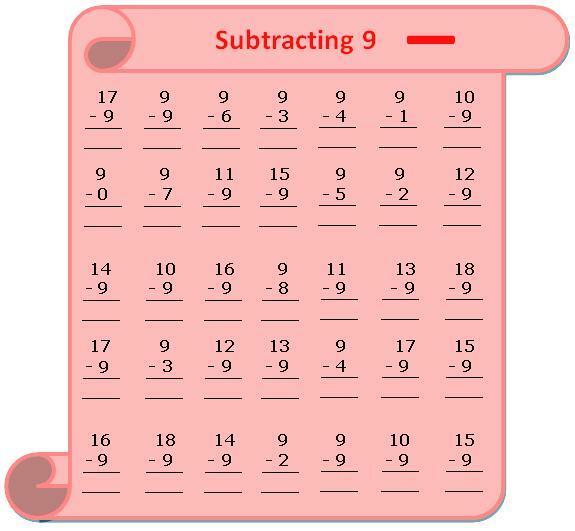 To get the clear concept of how to subtract nine from a number and also involving 9 in the subtraction 0 to 9, children can practice this sheet. Increase the basic skills and knowledge on all types of questions based on subtraction with 9. 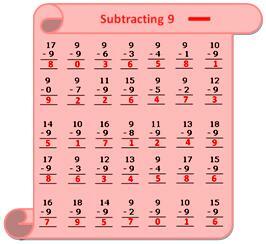 While solving the worksheet on subtracting 9, kids can recall the ideas by following the subtraction chart. For example; When 9 is subtracted from 12 then 12 – 9 = 3. The answer is 3. 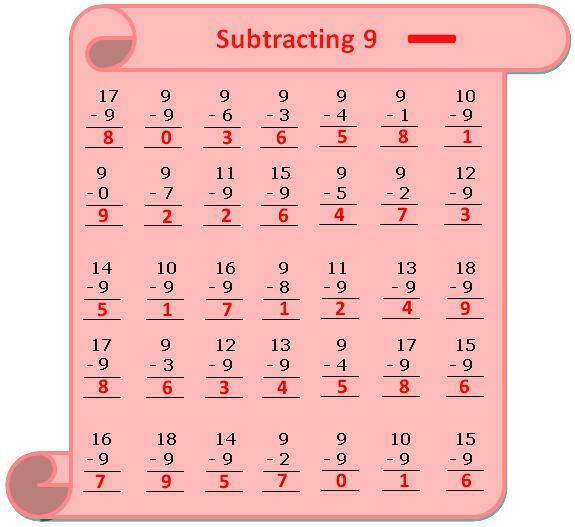 Answers for the worksheet on subtracting 9 are given below in the chart to check the exact answers of the subtraction.